I was not planning to get this miniature at all, even though it is quite nice, because I don't think I will ever field it battle, but as it came with a package of miniatures I bought from a friend, I thought I would paint it, as it looks nice with the command squad. 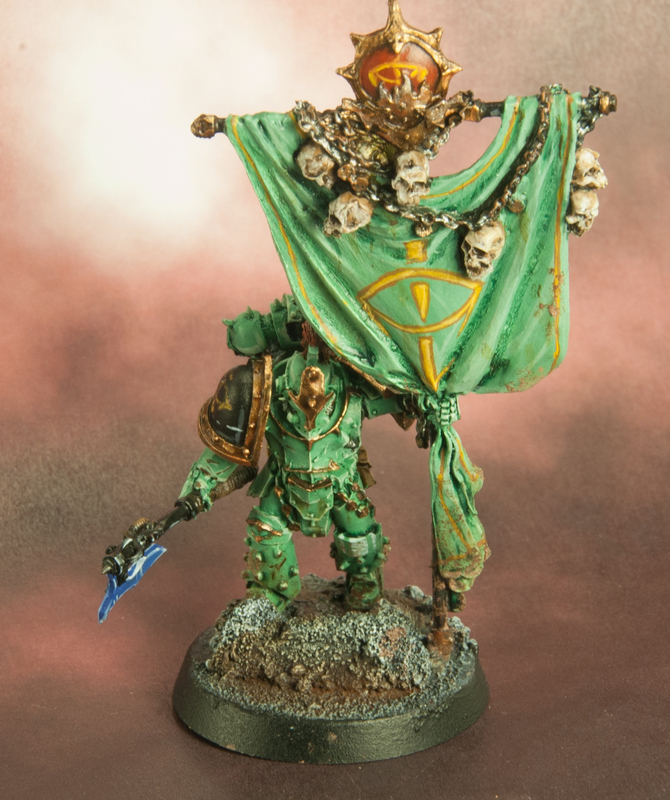 For the standard I decided to keep it simple and just paint the Eye of Horus. 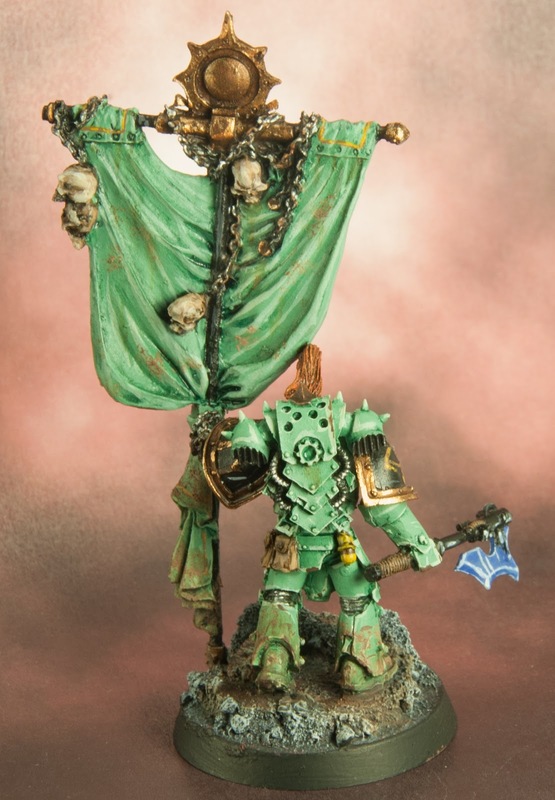 There is no individual cost for this bearer, but the Legion Command Squad, consisting of two marines and one standard bearer costs 100 points.